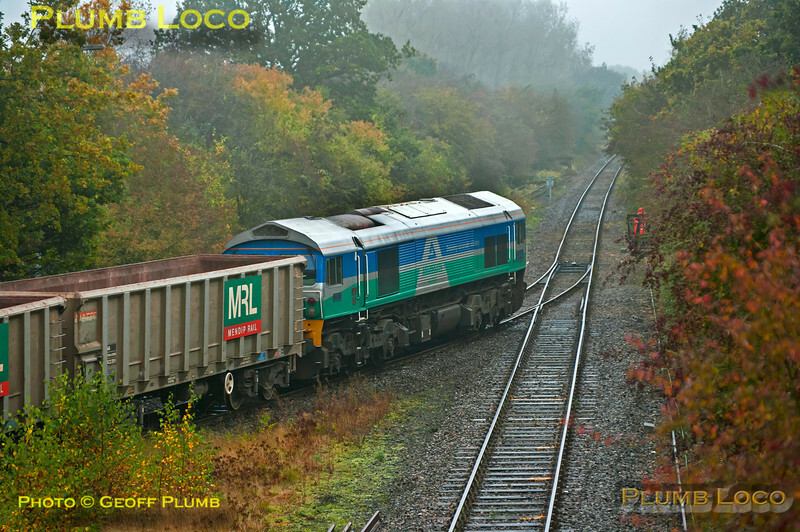 The stone train from Merehead to Calvert and return has now been re-designated 6Z60 and 6Z61 and MRL 59005 "Kenneth J. Painter" was in charge on Tuesday 23rd October 2012, a very dull and miserable day. The train has been fully unloaded this time and is departing a few minutes early at 11:04, en route to Claydon L&NE Junction to runround and return to Merehead Quarry. Digital Image No. GMPI12711.